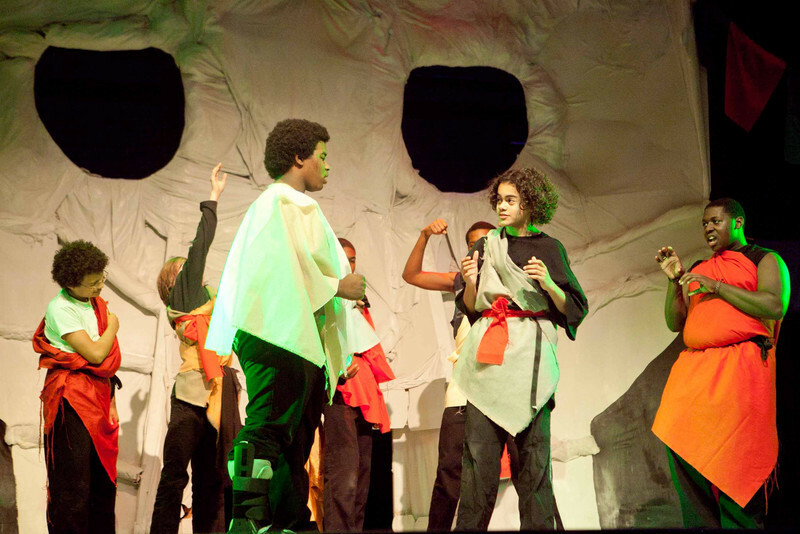 The St. Benedict's Drama Guild staged “The Tibetan Book of the Dead,” by Jean-Claude Van Itallie. The actors led the audience through the stages we experience after death and showed how they can overcome the ambitions, desires, jealousies, and fears that can obscure our understanding of ourselves and our transition into the next life. The cast included Erby Beauvil, James Benjamin, Jonah Berkley, William Brown, Zakee-Conte-Smith, Dakota Gibbs, Tyler Hayes, Christopher Owens, Gabriel Robinson, Hakeyh Watkins and Farrad Williams. The production staff were Ercan Akdogan, Axell Sanchez, Alex Kariuki, Jayaire Atakora, Shacore Williams, Devin Conley, Peter Santiago, Chardwin Jean-Baptiste, Beauvil, Brown, Owens, Conte-Smith, Benjamin, Gibbs, Robinson, Williams and Watkins.